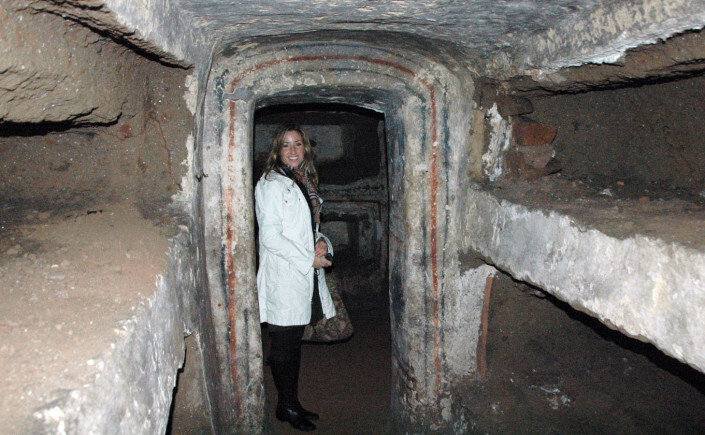 The ICS provides key information to the public who wish to tour the catacombs of Rome and its environs, particularly the Jewish catacombs of Rome. Private and group tours to Jewish catacombs can be arranged; for further information see “Jewish Catacombs” on this site. The ICS also facilitates visits to other sites for its members and sponsors through its contacts with scholars and institutes abroad. If you are an ICS member planning a trip to the Mediterranean area, please contact us at info@catacombsociety.org.